Are you aware that you are able to integrate Salesforce CRM together with your telephone system? Many call centers are doing just that these days to lessen their average handle times and improve client satisfaction. 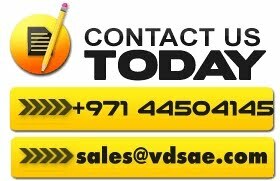 This is possible through the magic of computer-telephony integration often called “CTI.” VDS Dubai having extensive knowledge & experience in this fiels that allows us to build integration between telephony platforms and Salesforce. What is a CTI Telphone integration with Salesforce ? When a call arrives at your phone, the Salesforce CRM & PBX System integration initiate a search in Salesforce.com based on the caller’s phone number or on digits he may have entered via the IVR . If it finds a match, it will pop a Salesforce.com page showing the contact or account record of the caller or a different object that related to the caller number. When CRM Integration is present, all phone numbers in Salesforce become clickable links .You only need click them to dial those numbers.It also make the Phone numbers found on websites clickable. Then the phone will initiate the call dial out. When you are on a call, you’ll have the opportunity to take notes on that call, which will be automatically logged as an Activity and associated to objects that you have navigated to during the call (for instance, the caller’s contact record, or a Case or Opportunity you created during the call). Moreover each and every calls will be logged to corresponding record on salesforce.